When we entered The Impact 50, I had a clear and unwavering vision in my head. This was not going to be a big blustering film, but a small domestic glimpse into the world of a little girl who has a very different understanding of life. We knew that a lot of people were crowd-funding major productions with large-scale visions of the end of the world. Our film is set in a kitchen/diner. It is a simple setting with one ordinary mother and her extraordinary daughter. The film is little more than a series of pleas from a desperate parent. It is a tale of a girl with Asperger’s syndrome and her total fixation on finishing her video game, a game that mirrors the chaos around her. It was agreed that to achieve this “locked in” existence we would work with tight angles and visuals that matched the setting. We took the two-minute duration rule very seriously for a few reasons. Firstly, there was the fact that this was but a tiny part of a huge story with many characters. Then there was the simple, no-frills script. It was brilliant but challenging to work on such a tightly written but emotional story. We all agreed that to flesh this film out would ruin the sad, disturbing truth that these characters were in their final moments, and NOTHING could stop the final outcome. The character of Sarah has no speech, and emotional responses are minimal. This of course means that in reality her mother’s pleas are futile. In film terms it meant that we were faced with short sharp dialogue from one source. Sarah’s responses come in the form of very infrequent gentle smiles. In practical terms we had a sparse contained script that called for very few bells and whistles. Actually, in all honesty we found that our film felt a little long at the first cut. We learned a lot simply by rearranging the film and I made the decision after the second cut that the film should be told mainly from the POV of Sarah. We made her the main focus, only cutting away momentarily. Her concentration on the video game is total and almost unwavering. There are two beats within the two minutes that form the structure. These are points of distress for Sarah and grim determination for her mum. This helped us divide the film into 3 acts. The beginning introduces us to the characters and their plight. 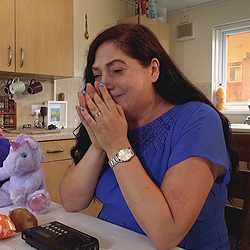 Act two is hammered home with the harrowing choice mum makes in taking a toy from her autistic daughter to get her attention, causing confusion and massive anxiety. The third act is signified by a bursting light bulb, forcing the mother to take action to save her somewhat oblivious daughter. It is in hiding beneath the table that we finally see Sarah’s beautiful and innocent love for her mother, expressed in a way only mother and daughter could understand. This is all neatly confined to the two minutes stipulated by the rules. Location, now there was something of a real challenge. Originally, we had a seaside location locked down. This was secured by our DOP Vivian Thomas. A couple of weeks before shooting our producer contacted the owner of the location to finalise prep for the shoot. Then came the blow, there had been a complication in the family and we no longer had permission to shoot. John quickly set about finding a location. We found a couple of nice spots but they were either out of our budget range or would have been a logistical nightmare. It came to a week before shooting and I asked Vivian if my own place would be suitable as I have a large kitchen/dining room. We shared stills and I filmed a short video storyboard. Finally, it was agreed that for the lighting design, my place was just about suitable. Vivian and I had worked together a couple of times, so I knew this would work. Our main issue here was always going to be keeping the place quiet enough for filming. I have a noisy parrot and a snuffling Pug. On the day of shooting (we only had one) my kids wheeled Gogo the parrot outside and covered him with a blanket. Our crew fell in love with the dog and he became the production pooch. Vivian had hired lighting with a deal from a place we had used in the past. I had discussed with him that I needed a warm, slightly matted look. I wanted the film to look gritty but colourful. Viv did a quick recce and identified several spots where we could achieve the light design that he had planned. Then came something of a puzzle. We wanted to use some of the natural light coming from the windows, but then we would have the windows in shot due to the limited angles allowed by the location. 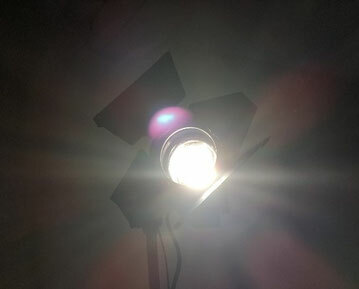 In our original location this wouldn’t have been an issue, but at my place this meant we had to battle bursts of white light which would flood certain shots. We didn’t factor this in when hiring equipment, so had no rolls of ND filter. Thinking on our feet, we simply came up with a number of steps to try and avoid our little film being drowned out with light. This would largely be fixed in post. Our set up was simple enough. We had two characters around a table. The shoot was split into two halves “above” and “below”. Vivian had a new piece of camera equipment allowing for us to travel freely around the table, shooting quickly and smoothly. We used a two-camera set up, using a digital SLR for most wide shots. As one of our cast was a child, it was important to shoot quickly and with a minimum of stress. 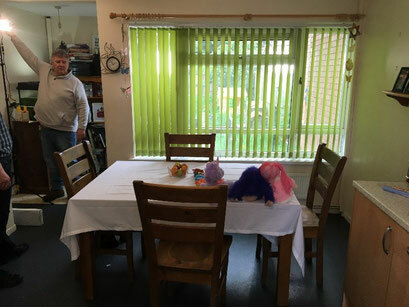 My place was perfect for this as the space provided us with access to the characters and props, and very little was moved in order for us to utilise the room, apart from my wife’s Betty Boop collection, but that’s a bit of a sore point! The casting of Silence turned out to be something of a dream come true for us. I had discussed with the crew that Rachael Howard’s script came from a very real place. Her daughter has Asperger’s Syndrome and Rachael had imagined her into this terrifying situation in order to write the screenplay. I have a little bit of experience with autism but don’t know a huge deal. With the producer and Intercept studios Andrew Oakes it was decided that we should keep this reality going. My friend Naomi has two beautiful children, both of whom have differing degrees of severity on the autistic spectrum. I knew that Rhian had recently been in a school production and was really excited at being able to perform. When I asked Naomi if she thought Rhian would be happy to spend a day working with us on Silence, the answer was an almost immediate yes. 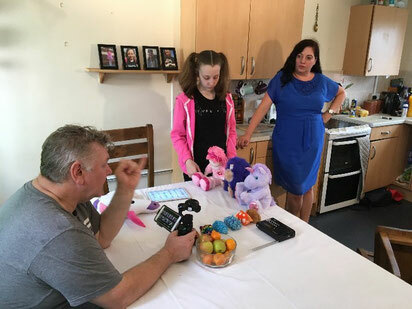 We were over the moon that the part of Sarah had been filled by a young person with experience of the condition she would be portraying onscreen. I had spent hours with Rhian, watching her behaviours and speaking to her about everything from school to “yucky boys”, so we had a good relationship before the shoot. The real dream came on meeting Louise, whom we interviewed for the part of Mother. John and I had never worked with Louise. We knew nothing of her background, so we were astonished to learn that she has a son whom also has autism. 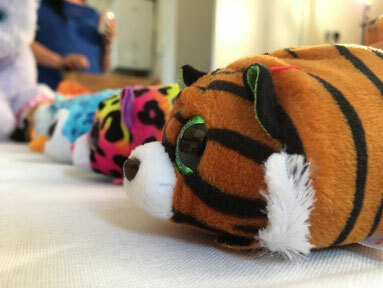 She said she knew of the difficulties in communicating and conveying emotion when it came to spectrum disorders. We knew that we had found our cast. Any parent of children of a certain age will know of a kid’s TV character called Mr. Tumble. Mr. Tumble speaks to children with speech and communication difficulties using signs and symbols. I came up with an idea. Could we incorporate some of these signs into our film? Louise had the answer as she had already mastered signing whilst her son had been unable to use speech until quite late in his development. This was a first for me, working with actors for whom research for the role came from nothing more than the role itself. I want to say a little about our schedule. As we were employing somebody of school age we had to work around term times. We had arranged a day and time already, within school holidays in May. This would not only give us time to shoot but would mean any re-shoots would have to be arranged in the summer holidays. Furthermore, Intercept were behind some rather complex digital FX which needed to be designed and then edited into the film. We had no money for copyright agreements for the video game, so that would have to be produced from scratch. We also had agreed to keep the original footage shot on the sea front from our first location as this was how our pyroclastic cloud would arrive onto the scene. The cloud itself was designed using real smoke mixed with digital FX. Vivian came up with the idea of actually using a real light bulb to pop during a power cut. I was concerned that somebody may get hurt and we weren’t covered for anything like that. Andrew then said we didn’t need a practical effect (although I’m a huge fan of this way of working). He had an idea that would get us the kick we needed from his arsenal of technical wizardry. So, that seemed to fit our tight schedule as we were aiming for the first loose deadline put in place by Create50. John and I were quite strict on this as we were used to working to festival deadlines having worked on many short films together. That the deadline has since moved means little to us as we chose to aim for a certain time frame quite rigidly in the first place. Two days before the shoot, we suddenly found ourselves minus a sound recordist. I was told not to panic. Both Andrew and Vivian had sound kits and kindly donated them to our project. Our producer suddenly became our boom operator. John was given a crash course in sound recording and was taken through the motions. This was to be a real Guerrilla style shoot. By lunch time on the day of the shoot we had pretty much covered the “above” part of our schedule. Then came the news that we had a technical glitch. We had a failure with video playback. Everything would need to be shot again. I was instantly aware that there was some very physical material still to be shot and I didn’t want Rhian to become stressed or confused by the pressures a shoot can bring. She had coped brilliantly with the direction I had given her, mainly to sit with her eyes glued to the tablet and to ignore everyone, including me. I spoke to her mum who stayed with us for emotional support, not to mention legal reasons. Naomi just said they would both go with the flow. That afternoon was full of energy and positive aggression to get the job done. Everyone from make-up to camera and sound pulled together and we chucked everything we had at the remaining hours. Both actors relived the emotions of the morning and we got the job done. The second half of the shoot, the “below” section was shot very quickly. As it was all shot with low light under the table, I had to give all my direction before the scene was shot. I have a disability and use a wheelchair, so I was unable to meet the physical demands of being with the actors and crew. The transition from above to below the table was brilliant to work on. The energy went through the roof as Sarah and her mother waited in terror for their impending doom. The crew were all quite moved by the interaction between Rhian and Louise and it was a proud moment for us all. The film went through several cuts as we explored the different ways we could approach our story. I like to use long takes and severe angles, so I knew how the footage would come out. Andrew Oakes was both editor and FX designer, so he was able to cut the film whilst deciding exactly where the images he had made would fit. This of course included the windows which were more of an issue than we thought. Andrew altered the colour of the exteriors and added an ominous light. At the end of the film he also added dust and vapor approaching the house through the window. The initial cuts were given to us without any FX as they took a couple of months to complete. The video game, the cloud, the electric sparks, the windows all took a huge amount of time and effort. Andrew lives quite a distance from my place so he sent us each cut over the net. It was great to get the final cut as I had seen each progression through the whole process. This immense amount of work will never be forgotten. It’s another first for me, as I have always worked with practical FX. Seeing things appear onscreen that were not there before was both bizarre and exciting. 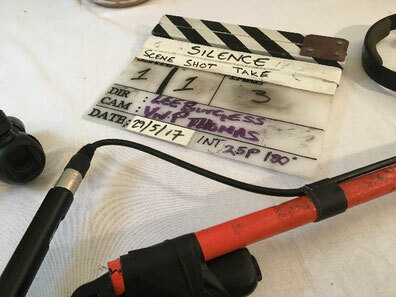 This kind of work would usually cost a fortune, even for a small film like Silence, so I am grateful to Intercept for taking on such a huge task. For me, this film was a real eye opener in terms of the way I work and what is possible with no/low budget filmmaking. This was the first film I had directed since becoming a wheelchair user and everybody just made my job such a joy. It was also exciting not only to work with themes of disability within the realms of science fiction, but also to work with people who had knowledge hand experience of Asperger’s and autism. The film has been well received so far and we hope that people understand the bravery with which the film was made, from script to screen.